Did you know that April 23 marks National Lost Dog Awareness Day? It may seem silly, but according to the The American Humane Association, it’s estimated that over 10 million dogs and cats are lost or stolen each year– and that’s just in the United States alone! 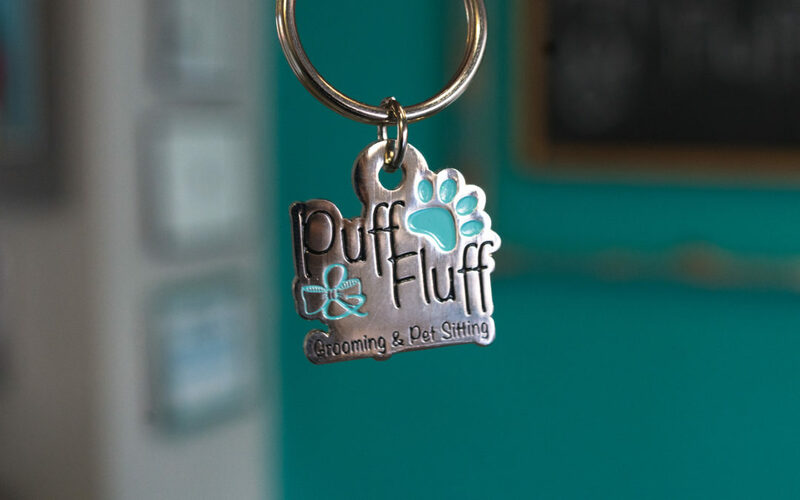 With so many missing pets, it’s essential that you find the best pet tag to keep your furry friends easily identifiable should they get lost. Of course, many pets don’t like the traditional dangly tags– in fact, many pups try to chew them off! Below, we’ve offered some alternatives that will give you peace of mind should your pet ever stray from the pack. You can find these at a variety of online shops. Rather than dangling from your dog or cat’s collar, these tags actually slide onto the collar itself. Thus eliminating any bothersome jingle and jangling! These durable tags come in a variety of sizes, securely fitting onto a variety of collars. Eliminate the tag element altogether with a cool embroidered pet collar! These collars have all of your pet’s information stitched directly into them– be sure to choose a font and collar that is easy to read. In this case, readability is more important than the element of design. Many pet parents are choosing these collars for their furry friends to avoid the aggravation of ID tags which can fall off, fade, or become bothersome to your pet. With all of the technological advances available today, more and more companies are finding unique ways to keep tabs on our pets. The latest ID tag craze includes GPS tracking. From companies like Whistle to Findster, these tracker tags make traditional pet tags look rather archaic. These GPS tags simply attach to your pet’s collar and include technology which makes it easy to find your pet should he or she get lost. Of course, these tags are more costly and some include a separate subscription service. If your dog is often out unleashed, this may be a worthwhile investment for you. With plenty of different pet tags on the market, it’s your responsibility to choose what works best for your pet. Be sure to include the essential information on your pet’s ID tag. This includes your pet’s name, the best number you can be reached at, and the city you live in. Some may include their full address, while others opt out for security reasons. If your pet is microchipped, having a separate tag to indicate this can speed up the process in reuniting with your pet should they become lost. While we hope that you never have to worry about losing your pet, it’s always better to be safe than sorry. Do you have a favorite pet ID tag that we didn’t include on this list? Let us know in the comments below!